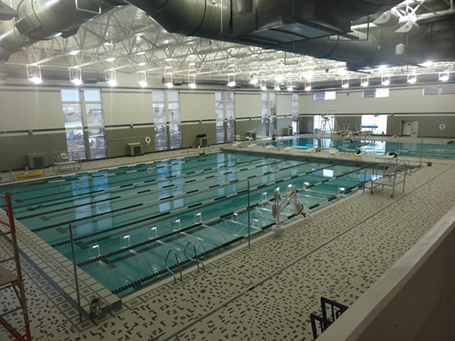 Sweetwater County School District #2 placed a bond measure on the 2012 ballot to fund the construction of a new aquatic center with the intent to serve the entire community of Green River. Upon passing, plans for the new facility were put in place with a scheduled completion date of fall 2015. 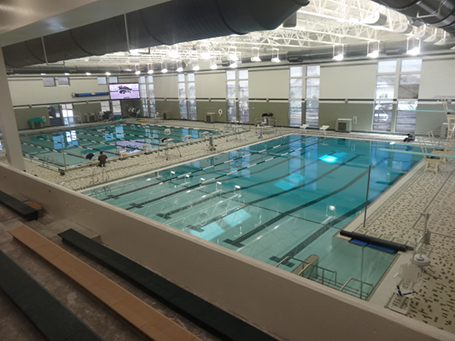 The design of the new Green River High School aquatic center consists of 32,000 sq. ft. of new construction and 2,000 sq. ft. of renovated space. 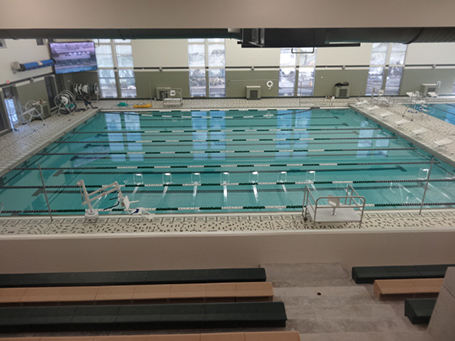 Major building components include a new welcoming lobby entry, competition pool, dive pool, therapy pool, wet classroom, spectator seating for 575 patrons, and separate locker facilities for swim teams and community members. The new aquatic center meets state and National Federation of State High School requirements. It will accommodate competitive swim meets and physical education classes in addition to recreational use by community residents. The therapy pool will serve the rehabilitation needs of athletes and residents.